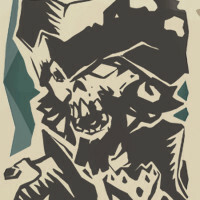 As Sea of Thieves is Rare’s first PC title, it gave us the opportunity to develop a PC game with a slightly different approach. 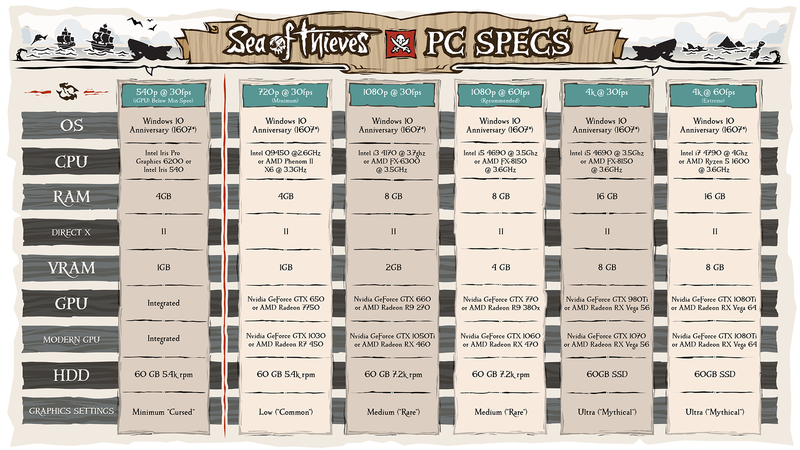 Players have now been playing Sea of Thieves on Windows 10 in their tens of thousands for the past nine months as part of our Technical Alpha programme, allowing us to really fine-tune the auto-detect experience so that when new players play the game for the first time on March 20th, we can give you the Rare-certified spec based on your hardware. However, we know that as PC gamers, having the ability to change the field of view, unlock or lock the framerate, rebind keys, change video settings, resolution and graphics options, as well as offering extra functionality like full ultra-wide support and a dedicated FPS Counter, is all part of the expectation – not least releasing the Windows 10 and Xbox One versions alongside each other on the same day! *simply type “winver” into the start menu to find your corresponding Windows 10 version, which needs to be equal to or higher than 1607. Our rendering team set themselves the goal early on of “how low can we go”, sometimes also referred to fondly as “getting the game running on a potato”, which is why we want to deliver a great version of the game even for those with computers below our official minimum spec. The game is perfectly playable at 540p, and one of the advantages of Xbox Play Anywhere is that if you own an Xbox One AND a low-spec laptop you can still take full advantage of it, and we absolutely encourage it! Of course if you have a beast of a rig running at 4k/60, we’ve got you covered with the best looking #GreatWater, and everything in between! Thanks to the community and our hardware partners in helping us reach this point, and we look forward to continuing to build out the PC feature set up to and beyond launch!